Editor’s note: This story is a collaboration between City & State and The Public, an alternative media source covering politics, culture and lifestyle in Western New York. Read the first two stories in the series here and here. During the last week of July – a month which saw a record-setting 37 shootings - police officers from Buffalo’s Strike Force unit went door to door on at least three separate dates in the Broadway – Fillmore neighborhood, issuing code violations for garbage tickets, unkempt lawns, and missing house numbers. One resident on Paderewski said he received four tickets at once on Friday, July 22, a bonanza of violations for high grass, garbage on the lawn, garbage totes stored too close to the street, and house number not posted on the property. A week later, on July 29 at 11 p.m., police returned to write another round of four tickets to Brian Borncamp, even though his house number is clearly posted on his mailbox and the region’s drought has ensured that only small stands of chicory and Queen Anne’s lace can grow more than four inches above the ground. A block south of Borncamp’s home, Terra Dumas’s stretch of Coit Street has seen similar attention from police. 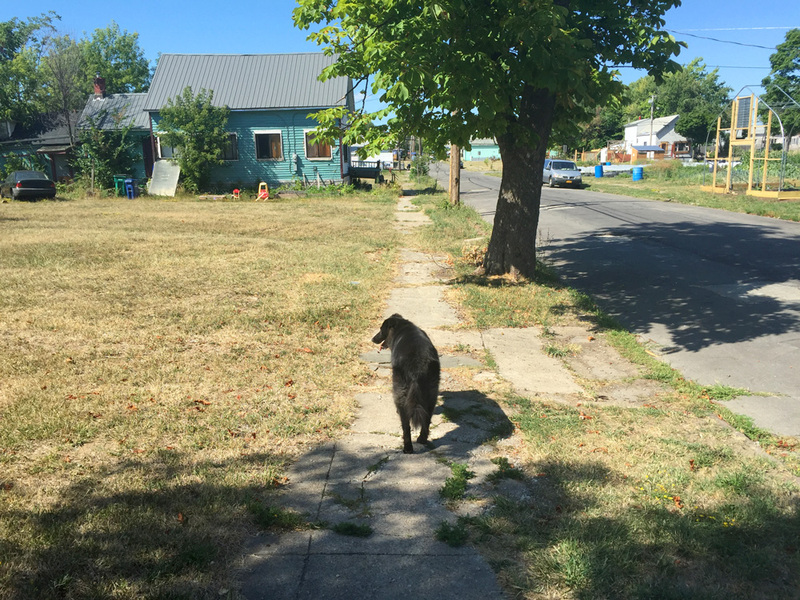 Of the 15 or so homes on her block, at least five of them were ticketed for high grass and weeds on July 27, even as city-owned lots nearby had weeds much higher than any home on the street on a recent visit. “They’re sending people out to give tickets, but why not send people out to knock on the door and offer help?” Dumas said, lamenting the fact that many homeowners are unable to finance needed repairs to stay in their homes, like new roofs. 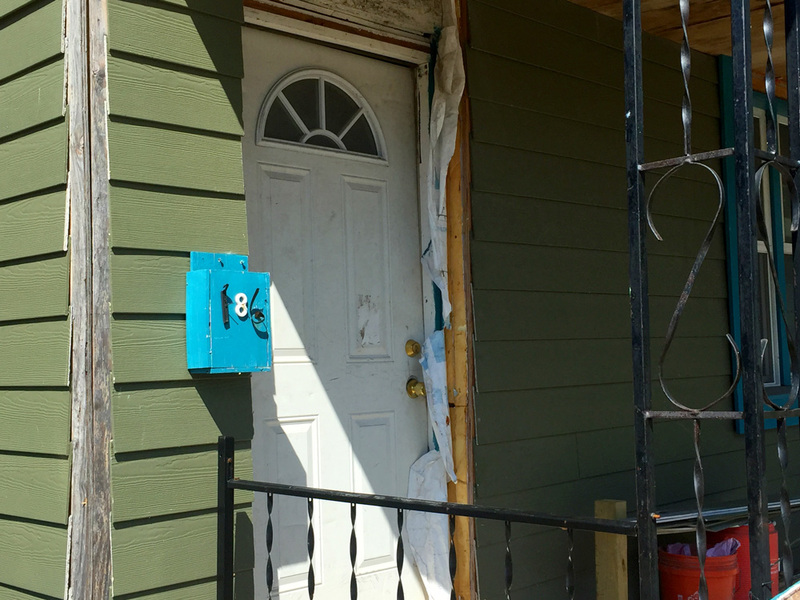 Around the corner from Dumas on Detroit Street, Marva Threat remarked that last month two of the six homes on her block were ticketed for garbage totes being too close to the street. Threat, the president of the Greater East Side Fields of Dreams Block Club, said most neighbors can ill afford fines, some of which start at $150 and escalate to $450 if unpaid within 30 days. Buffalo’s main tools for zero tolerance have been police initiatives and the special Strike Force unit formed in Brown’s first year in office. The Strike Force unit was created by Brown and then-Commissioner H. McCarthy Gipson in 2006 to combat gang-related crime, but also to “target and eliminate high crime areas throughout the city” and to follow “strict enforcement of the mayor’s zero tolerance law.” The Strike Force unit has been the focus of previous reporting for their involvement with questionable checkpoints throughout the city and with the BPD’s Housing Unit, with which the Strike Force shares office space in the Commodore Perry housing project. According to city records, in 2012 Strike Force was responsible for 3,251 arrests, 44 guns seized, 1,850 vehicles impounded, and 12,235 summonses issued. Traffic tickets have spiked since the city started using the checkpoints in predominantly low-income African-American neighborhoods, according to Univeresity at Buffalo School of Law professor Anjana Malhotra, who has been researching BPD policies and practices with assistance by clinics at the UB and Cornell University law schools. City records indicate that between 2010 and 2012, and average of 21,446 traffic violations were issued annually. From 2013 through 2015, when checkpoints were being utilized commonly, that number shot up 65 percent to 35,294. Mirroring national trends, violent crime has decreased slightly, but in 2014 Buffalo witnessed 60 homicides, the highest number since 2009. Buffalo homicide clearance rate is among the poorest in the Northeast, hovering around 25 percent. “Clean Sweep,” “Operation Power Sweep,” “Shock and Awe,” “Weed and Seed”: The Brown administration has employed a number of monikers through the years to brand their initiatives, which have increased the number of arrests, violations, fines, and summonses, but have not resulted in a dramatic decrease in violent crime. A city official said that the Broadway-Fillmore neighborhood has not been subject of a “Clean Sweep” in recent months, indicating that the BPD’s recent ticket-writing campaign there may have been routine. Neighbors in Broadway-Fillmore – where on many blocks vacant lots outnumber homes—remember similar ticketing for high grass last summer. Threat and Dumas are encouraging their neighbors to challenge the citations formally, and many residents appear not to have changed their gardening or garbage tote storage habits. Both said they have complained about the ticketing during meetings with their district chief, Aaron V. Young, in the past. Dumas recalled that Young’s response was that he seemed to have limited control over what certain units do in his district. But Young has since moved on. In June 2016, Young was re-assigned as chief of the schools, housing, and Strike Force units.